To celebrate the first year anniversary of their Android App Store, Amazon is giving away 15 paid apps worth 35 pounds for free. 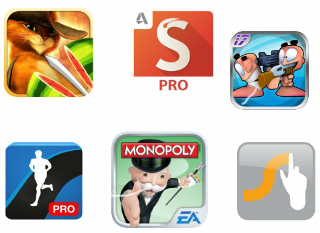 The giveaway includes apps like Runstatic Pro Walking, Running and Fitness Tracker, Polaris Office, Sketchbook Pro, Swype and games such as Monopoly, Fruit Ninja: Puss in Boots, Worm 2: Armageddon, among others. The apps are available for free download for two days (Friday and Saturday). To download these apps you would need to download and install the Amazon App Store on your Android device and an Amazon account.